Transform your cherished photographs into beautifully drawn works of art. 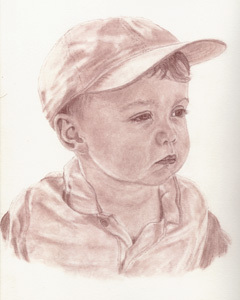 Our portraits are hand drawn using earth-tone pastels, giving them a timeless sepia appearance. Portraits for the Family gives great attention to the detail and accuracy of the drawing. Portraits for the Family offers affordable and quality portraits that will look great in any home. Most individual portraits can be completed within 2 to 3 weeks of receipt of photo.